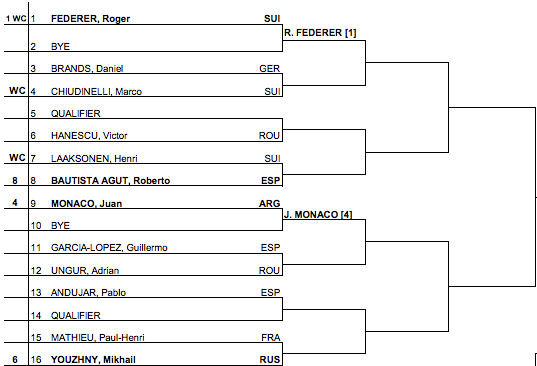 Roger Federer is taking part in the 2013 Credit Agricole Suisse Open in Gstaad, Switzerland. The top seed and wild card receives a first round bye, and will face either Daniel Brands or Marco Chiudinelli in the second round. 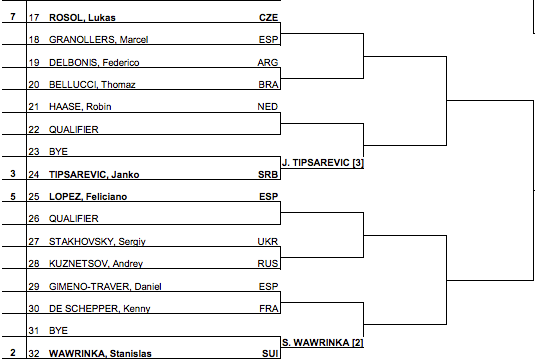 He is seeded to meet Roberto Bautista Agut in the quarterfinals, Juan Monaco or Mikhail Youzhny in the semifinals, and either Stan Wawrinka or Janko Tipsarevic in the final. Play begins July 22. Download the printable draw here or view below. 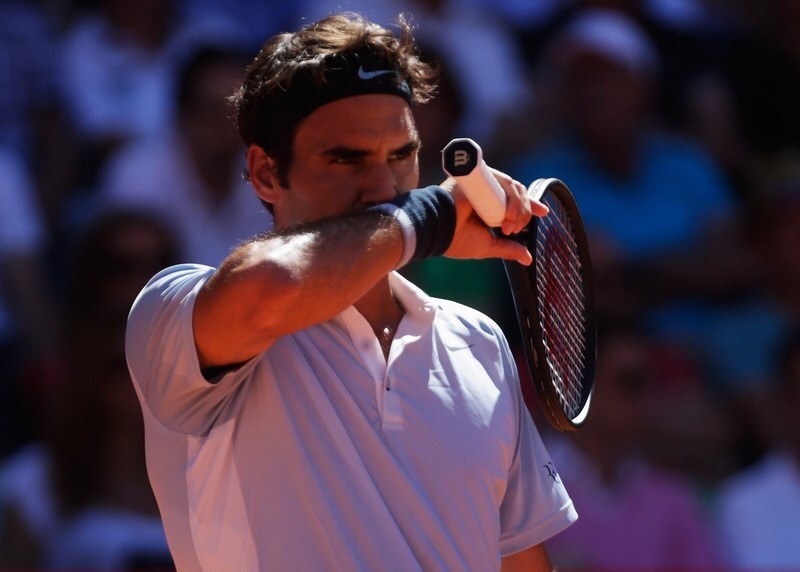 See photos and video of Roger Federer with blacked out Wilson 98 square inch racquet here.